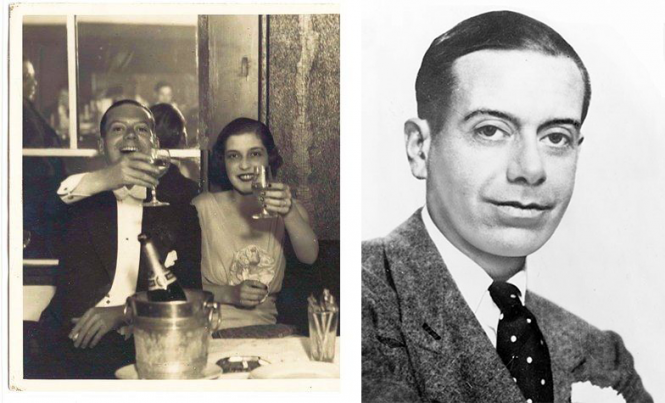 Cole Porter moved to France in 1917 when the US entered WWI, ostensibly to become a solider, but he lived in Paris until the mid-30s and became one of the musicians who introduced jazz to the French. Up until that point, only ragtime had made it across the Atlantic but 10% of the four million US volunteer troops were black Americans, and since the US Army was strictly segregated, some joined the French armed forces. As for Cole Porter, there is some dispute about whether or not he actually did any military service. The most accepted version is that he joined up in 1918 and served in North Africa with the French Foreign Legion and was awarded the Croix de Guerre 1914-1918, although his biographer Stephen Citron claims he never joined at all. What is sure, however, is that New York bandleader James Reese Europe joined the 369th Harlem Infantry Regiment and formed a band which played jazz wherever the soldiers marched. The story goes that villagers would run out of their houses when they heard the syncopated rhythms, unable to fathom what kind of music it was, or how the instruments were making such extraordinary sounds.